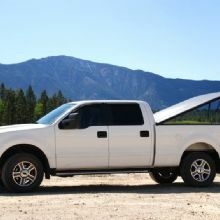 Precision Diesel Services Inc. provides products and services to all segments of the on road and off road communities. Our clientele range from individuals needing fuel additives to large fleets requiring fuel injection or turbocharger systems. From our full line, electronically certified fuel injection and turbocharger repair shops, to our electronically certified drive in repair service Precision Diesel Services offers the expertise and products to service your needs. We have been faithfully servicing the diesel industry and our customers since 1979 and employ a highly technical staff to help you with your needs. We have been servicing fully electronic vehicles and diesel engines since 1994 and have a high expertise in this area. If you need any products please feel free to contact us at the numbers listed below while our Web site is under construction. Get exceptional trucks body repairs on your vehicle at Precision Diesel! We are an auto body shop that provides quick and easy services for your car. Whether you need a repair on your engine or an oil change, put your trust in our team to get the job done right! If you’re in need of a diesel truck repair, call on the team at Precision Diesel! We have the professional services here at our auto shop to get the job done quickly and efficiently. 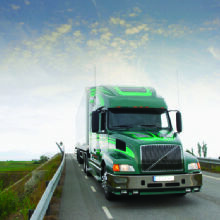 We specialize in diesel trucks and other large vehicles that need extra care. See what we can do for you! Let Precision Diesel be your first choice when it comes to professional tractor trailer repairs. We recognize the importance of getting your trailer fixed so that you can drive safely on the road. Our team team is dedicated to get you the necessary services for your tractor trailer, so bring it in today! Precision Diesel © All Rights Reserved.